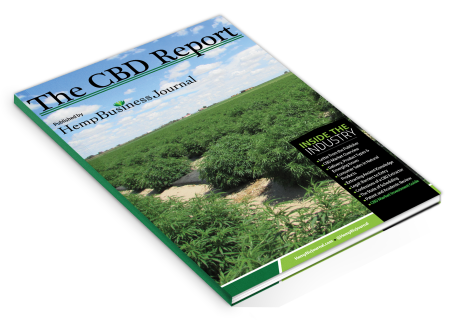 The CBD Report (by the Hemp Business Journal) is the first and only market report to cover the CBD industry. With this in-depth report, learning about the emerging opportunities in both the hemp and marijuana makrets happening with the most abundant cannabinoid on the planet. Are you a cannabis investor trying to discern where the opportunities are within CBD? Are you an entrepreneur wanting to know exactly which channels CBD products are being sold? The CBD Report is the definitive report for market sizes and high-level analysis of business trends in the CBD (cannabidiol) industry. The first report of its kind, the CBD Report is a 40 page document filled with primary research, market intelligence, investment analysis, data charts, and insights from more than 55 interviews from business leaders. For the cost of one or two hours of a top expert's time, you get the benefits of hundreds of hours of research, hundreds of surveys of market participants, and in-depth interviews with the top business people, all distilled down into the most actionable high-level analysis. Don't be the one in the room who doesn't know what's really happening in the CBD market. Use coupon code "CFNHEMP" to save $100 off either the digital ($199) or hard copy ($299). Hemp Business Journal’s mission is to inform titans of industry, investors, and political leaders about industrial hemp through strategic market data, analysis, business intelligence, and how to use hemp as a foundational cash crop for economic, social and environmental progress.